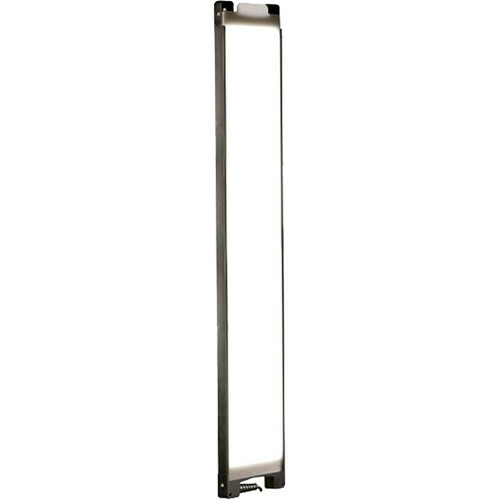 With light weight and a sleek, long rectangular form factor, the 44.4 x 7.8 x 0.75" SL1 Switch Bi-Color LED Light from DMG Lumiere offers multi-voltage AC and battery options, making the light an asset on location or in the studio. (This listing is for the panel only and requires separate purchase of a power supply). The SL1 Switch has color that's variable from 3000 to 5600K or anywhere in between, while maintaining a high CRI of 94 to 96 to match other fixtures, ambient light conditions or just for creative effect. The light is also conveniently dimmable from 0-100% using the optional power supply and at just 0.8" thick it can be used in places where other lights just won't fit. Power Consumption 170 W max.